Postconservative evangelicals (PCE) “believe that conservative evangelicals (CE) tend to place too much emphasis and value on facts” and that “authentic Christianity is too often equated with correct grasp of information” and the “propositional nature of revelation and the cognitive aspects of Christian discipleship.” Olson is quick to point out that PCE thinkers AGREE that there is an important cognitive and propositional content to our faith–it is simply that many CE thinkers have overemphasized and indeed become obsessed with this dimension as THE essence of true Christianity. Olson continues by digging at the dual roots of contemporary evangelicalism: Puritan Reformed theology, with its emphasis on confessional preservation of orthodox belief & the Pietistic/Revivalist emphasis on the experience of God’s transforming power. He describes how a growing awareness of this duality led to the two groups beginning to “snipe at each other and take potshots at each other in print” (pointing specifically to Carson’s The Gagging of God & David F. Wells No Place for Truth). While acknowledging the role of information in the Christian life, PCE’s “do not believe that facts constitute the essence of authentic Christianity or true evangelicalism, both of which are primarily expressions of the transforming power of a relationship–the relationship between God in Jesus Christ manifested through the Holy Spirit and the person in community.” In this perspective, doctrine is the “second-order language of the church that brings to expression this [supernatural] transforming experience.” Doctrine serves experience, and not vice versa. It is a travesty of the biblical idea of ‘truth’ to equate it with the Enlightenment notion of conceptual or propositional correspondence, or the derived view of evangelicalism as the proclamation of the propositional correctness of Christian doctrine (from A Passion for Truth: The Intellectual Coherence of Evangelicalism). PCE thinkers (and allies such as McGrath) fear that CE theology is “turning evangelical faith into a philosophy and the Bible into a book of facts to be organized into a coherent system.” (I’ve seen this mentality at work many times in my experience with the CEE.) PCE thinkers hold narrative up as an alternative to CE overemphasis on the propositional. “Narrative is meant to transform and does transform; it creates identity in a way factual statements do not…The point of this announcement in story form is to transform people; it is a story about salvation and brings about salvation.” The cognitive dimension is not dismissed, but is rather relegated to secondary status. -Reclaiming the Center: Confronting Evangelical Accommodation in Postmodern Times by Justin Taylor, et al. -Reforming or Conforming? : Post-Conservati​ve Evangelicals and the Emerging Church by Gary L. W. Johnson, et al. Has anyone read these? Which would be best to start with? Any other recommendations? This has been a remarkably helpful series of posts for me. I appreciate so much of what Olson has to say that I wonder if it’s time for me to bite the bullet and go buy it. One thought, by the way, on reading critiques: I wonder if the best place to start isn’t with book length treatments, but with reviews of his work in journals. I bet there’s stuff out there. But that’s a sticky wicket, isn’t it? In these few words, Olson admits that right doctrine is a necessity for experience to be real. But this line gets blurry faster than he makes it sound here. And I think that might lead to one of my biggest questions: isn’t at least some of this doctrine/experience dichotomy fabricated? Maybe even in an ironically Enlightenment way, in that it proposes clear, distinct categories for the two. I’d suggest that doctrine shapes experience enough to where it becomes difficult to draw the kinds of lines he is drawing here. I’m having trouble articulating this, but I hope you see what I’m getting at. Still, I’m really drawn to the emphasis on experience. I don’t know if it’s my Vineyard background or if it’s that I’ve struggled with the same sins for long enough to know that my analytical self needs experience with God for me to ever grow, but either way, if we really believe that the Holy Spirit is real, then how can we not emphasize Christian experience? But then, there I go proposing a premise and drawing a logical implication. So CE of me. One last thing: I wonder if some of this straw mans CE. What I mean is that there are certainly those CE’s who will emphasize doctrinal correctness over experience in bad ways. Plenty do that. But there are also a lot of them (at Biola/Tablot, think of guys like Thoennes, Arnold, Wilkins, Berding, Lunde, and so on) who emphasize Christian experience and a changed heart constantly. I suppose if we flipped it, it would be me taking people like McLaren and Tony Jones and saying, “All you PCE guys are crazy effing relativists who never use your brains”. Only, you know, nicer. Thanks again for these posts. I’m loving them. Something you’ve written (the part about the Mormons) makes me think of something else we all know but don’t really talk about. Say you know me, Elijah. You don’t know everything about me, but there is a certain amount that one must know to really consider me a friend. If you insisted I was 6’8″, 250 lbs and that I played small forward for the Cavs I would not consider you my friend. Such a simple treatment is how we can determine that knowing [at least some of] the right things about God is important in how the Church relates to him. Perhaps the PCE camp can adopt a watered-down orthodox position to call their own which lays out some of the necessary principles for who God is and what one must ‘know’ to be a member of the kingdom of God. 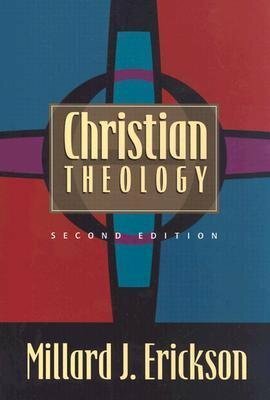 GREG: I might have this wrong, cause I am processing on the fly here, but I wonder if there is some sense that Olson would say there isn’t a experience/belief dichotomy, but the believer’s experience of an encounter with the God of Scripture’s story IS the substance upon which doctrine is the commentary. For instance, when it says in Psalms that “the heavens declare the glory of God; the skies proclaim the work of his hands” do I first have to understand the doctrine of God as omnipotent creator and transcendent sovereign power of the universe, or do I experience this in gazing upon the heavens and reflect on it in doctrine? When Paul speaks of the power of the gospel, is it referring to the transforming impact of an receptive encounter of the salvific story or to a complete understanding of atonement, justification, etc.? I mean, I’m pretty sure my mom is a tri-theist when it comes to understanding the trinity, but this doesn’t lead me to question her salvation…I know she’s headed in the right direction cause of her convertive experience, but some of the “doctrine” may be off just cause it’s so hard to conceptualize. You’re right that it get blurry and that’s where the whole “comfortableness with ambiguity/tension” comes in. You may not like the blurriness…that’s why you would prefer to stay CE, right? I think the PCE view is just saying that Christianity is more about relational encounter through story than propositional assent. Olson says, “Doctrine matters, but it can be no substitute for experience.” This is what makes “convertive piety” the ESSENCE and doctrine the second order explication of the essence. Plus, there’s this element of the “performativity” of the Gospel proclamation–it doesn’t just SAY something (which can be reduced to facts), it DOES something (which requires relationship…more on this later). As to your sticky wicket, I wonder if the right relationship/story/authority is essential for the experience, but the “factual/cognitive” explication (i.e. doctrine) of this is not essential. It does seem hard looking at this to parse between doctrine & “relationship/story/authority” but I feel like there’s a difference. Maybe it’s like my experience of loving relationship with my wife. Do the vows that I wrote out for our wedding ceremony precede/define my love for and commitment to her? No, they are a reflection of the experience prior to putting them into propositions. It’s not to say they are not important, but are they essential or is the experience essential/first order? I’ve just said a bunch of things I may disagree with in a matter of minutes myself. I’m in process too! More on actual content at a time when I didn’t promise my wife I’d clean the apartment.